ED160 Blade Runner - Kobelco Construction Machinery Europe B.V.
For more than 85 years, we’ve been committed to product development and innovation and we’re excited to launch the next phase production of our unique dual purpose excavator. 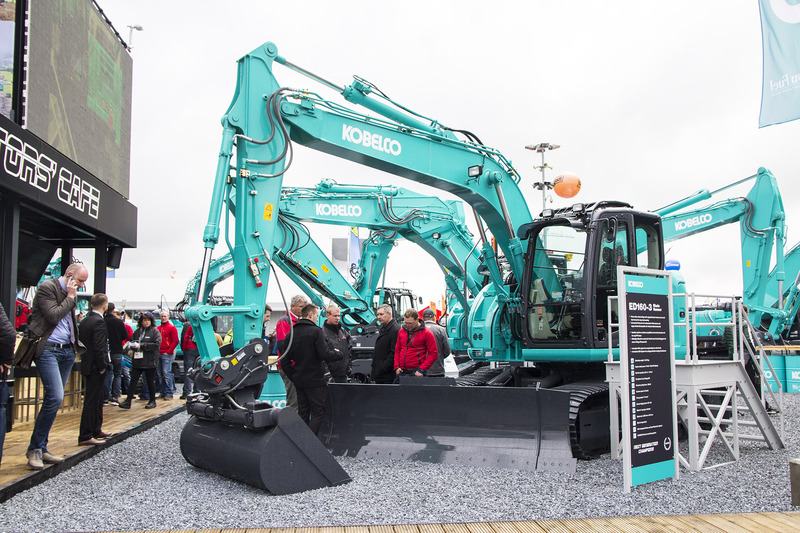 The Kobelco ED160 Blade Runner is a unique industry concept, offers the ultimate in productivity and is one of our hero models at BAUMA this year. Imagine being able to perform a number of jobs with the same machine – from landscaping and digging, to pipe laying and backfilling. Imagine the time saved by not having to use multiple machines on a job site! The ED160 Blade Runner is fitted with a large tilt-angle dozer blade, which enables it to cover a wide range of applications for maximum versatility, productivity, durability and high performance. In addition, the machine features Kobelco’s short rear swing (SR) specification and curved track shoes for easy manoeuvrability in tight spaces.